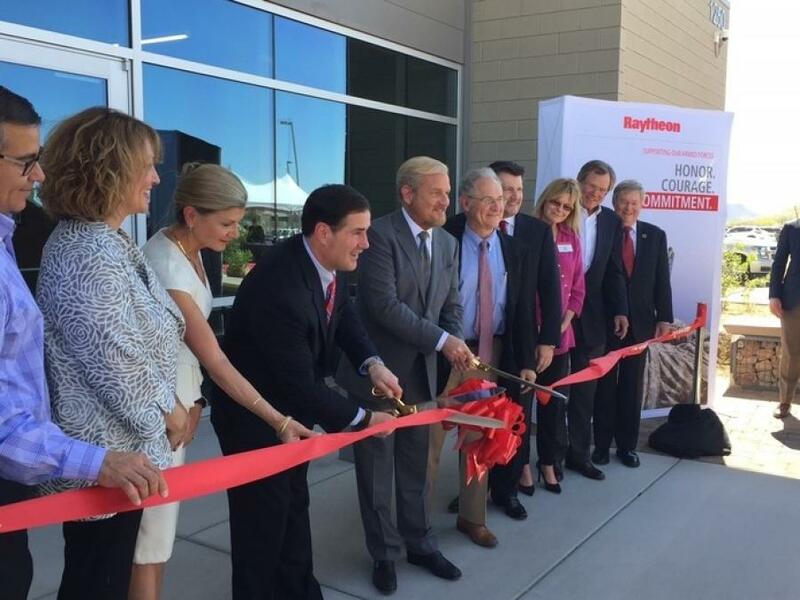 Raytheon Company executives, along with federal, state and local officials, and local business leaders, dedicated new facilities at Raytheon Missile Systems. This is part of a large-scale expansion and modernization project to increase capacity and capability at Raytheon's Tucson operations. A ribbon-cutting ceremony took place in front of newly-built structures that will house many of the 2,000 new employees the company is hiring to support business growth. New buildings scheduled for completion this year include an advanced testing facility, a multi-purpose building and a customer access center. The expansion is planned for completion in 2020 and includes new buildings; infrastructure upgrades; engineering and manufacturing enhancements; and high-powered computing capabilities. Raytheon Missile Systems is designing, engineering, testing and manufacturing some of the most advanced aerospace and defense technologies, including missile defense systems, hypersonic missiles and space vehicles. Arizona's supportive environment for business investment and growth is an enabler of Raytheon's success. Raytheon's recent expansion is expected to result in billions of dollars of economic impact throughout Arizona over 10 years. “We literally moved county roads and invested in buffer space because we understand the economic value of Raytheon to Pima County. It's been a great partnership,” said Pima County Supervisor Ramón Valadez. “We're very pleased to see this construction reach completion and to welcome the new employees who will be working in these new buildings,” said Tucson Mayor Jonathan Rothschild. Raytheon Missile Systems is Southern Arizona's largest private employer with an annual statewide economic impact of more than $2.1 billion.